They didn’t realize how much fun I was having…. 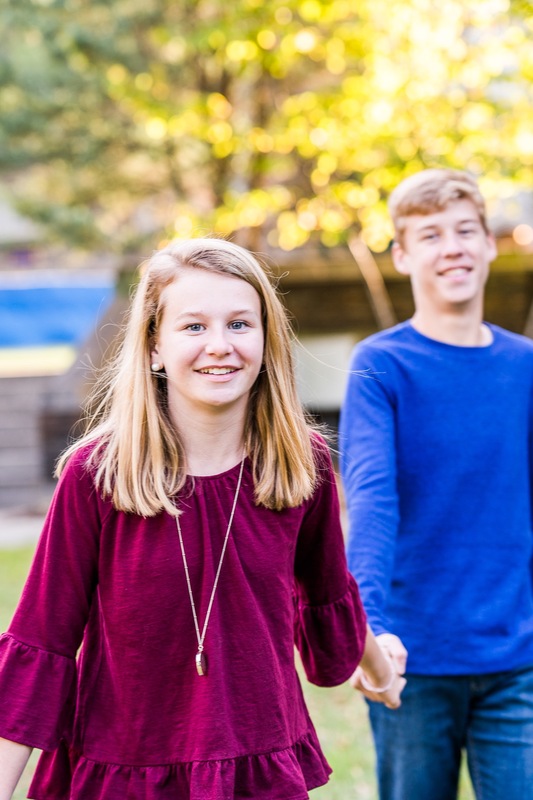 When Julie, Mason, Caroline, Patrick (my helper) and I traveled to Duke University to capture some sibling portraits before Christmas, they didn’t know it would become a fun playdate full of laughter and hilarity. Patrick and Mason are great buddies, and Julie and I could talk for hours. So what started as a photography session ended up as a fun road trip with friends. Caroline’s sweet but witty personality came out in front of the camera as she encouraged her brother to smile and pose for the pictures. Mason and Patrick continued with their shennanigans (silly expressions, throwing leaves, etc..) during our photo session around the campus. Julie stepped into some of the pictures, and through the laughter we captured some authentic smiles with mom. We were able to take so many good images that Julie had them printed for family Christmas gifts. She said these printed photo gifts of her kids made those family members very happy. Spending time with this family made this photographer very happy (and the amazing pictures we took made me happy, too!) . I look forward to the next time we get together!